Google's AI-Assistant Ecosystem - Partnerships and Customer Education Lead the Way - Vanguard Marketing International, Inc. This year at CES, VMI analysts saw amazing innovations and convergences of technologies, including: Artificial Intelligence, Augmented Reality / Virtual Reality, Health & Wellness, and Enterprise Technologies. One of the most disruptive trends for consumers at CES 2018 was the distribution of Artificial Intelligence throughout the home and our everyday lives through smart devices. Tinkered with for years, these devices came in the form of connected light bulbs, home appliances and thermostats but with little to show. Standards have now been developed and alliances have been formed by organizations like Zigbee and Z-Wave. But it wasn’t until the convergence of a smart speaker, paired with an array of microphones and access to cloud-driven AI-assistants that there was broad market appeal. With significant investments by the likes of Microsoft, Amazon, Google and Apple – using your voice to control the world around you has never been easier. Currently, Amazon has the early-market advantage in terms of overall integrated services used by roughly 50 Million subscribers. These integrated services include the ability to communicate with third-party platforms, such as Uber, Pizza Hut, Phillips, Spotify and many more. The real value proposition for these AI-assistants is the ability to enable conversational requests, while reducing the numbers of steps or efforts to complete a task. Google’s Assistant (AI-assistant) was seemingly leaps ahead of the competition in terms of adoption and education of the consumer. 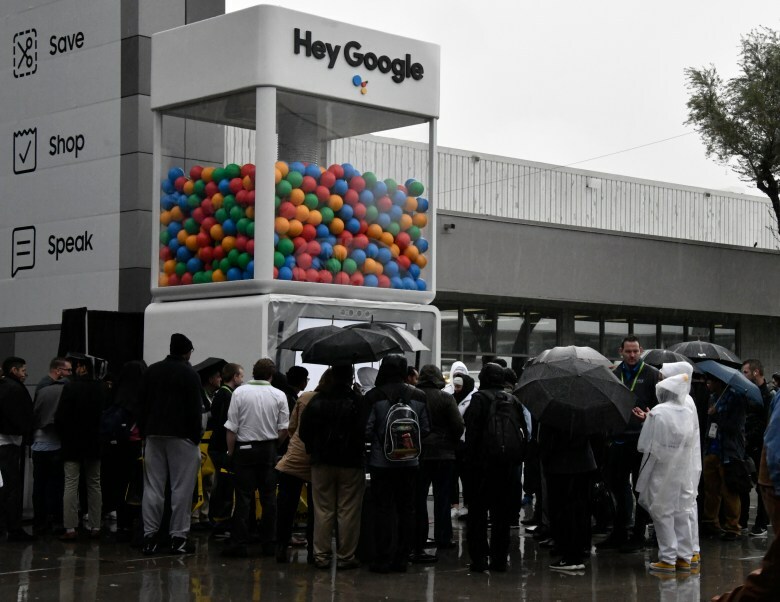 Google representatives were scattered everywhere throughout the show–stationed at many product booths–providing use-case examples on how the Assistant and the corresponding product work together to make each task, chore, or request a little simpler and faster. This approach allowed Google to break the status quo of a single booth while also providing an analogue to their smart product offerings, demonstrating the decentralization and democratization of intelligence via Google Representatives. 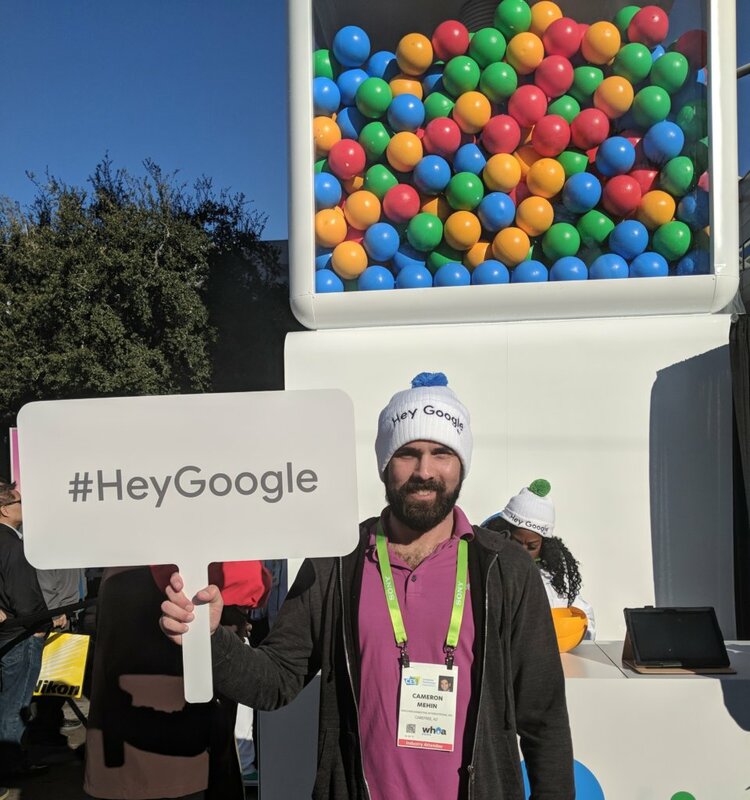 Google was not only advertising their own product, but also the product of each individual booth, in order to showcase their growing partner ecosystem. Looking forward one technological evolution, this will bring us the inclusion of mesh networking and low-cost product-level integration of AI-assistants – driving the ubiquitousness of hyper-personalization services in public and private environments. Targeting consumers at first, this persona-verified, always on, always-in-control movement will certainly be integrated into its Enterprise solution – in direct competition to Microsoft’s position. Key market investments and acquisitions in natural language processing, deep learning, and hardware are necessary for high value, market-shifting applications. The companies listed in our report are great examples of not only localized innovations, but also large-scale ecosystems that unify the global community to develop and advance these solutions. The expectation is that these isolated technologies will converge into the different AI-Assistant ecosystems, giving us real-time, on-demand access to these distributed services and products. Find out more about these solutions and the key takeaways in our VMI’s CES 2018 Highlights: Global Innovations.